In the live dealer casino world, players are always on the hunt for the next software developer who’s prepared to push the boundaries and offer something new. Enter Lucky Streak, one of the latest live dealer game studios to wow the market – we explain more about Lucky Streak’s live dealer offering and the best online casinos to play these games for the chance to win real money. Not too much is revealed on Lucky Streak’s website about the brains behind this brand, other than the fact that the company was created in 2015 with the intention to deliver the most advanced live dealer environment on the Internet. The Lucky Streak foundations were built by experts in online gaming and product development, with games designed by professionals with extensive knowledge in gaming and online user experiences. 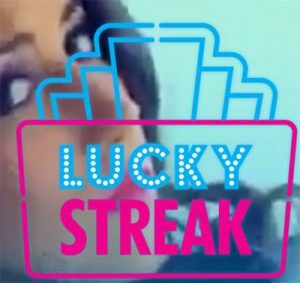 Lucky Streak is registered in Cyprus, but it remains unclear which gambling jurisdiction this gaming developer is licensed in or where the live dealer studio streams from. This would usually be a bit of a red flag in our books, but as Lucky Streak’s games are available at some of the top-rated, most highly revered online casinos, we think it’s pretty safe to assume this is a safe and trusted software product. What live dealer games does Lucky Streak offer? Lucky Streak offers all the classics when it comes to live dealer casino games, and while the offering is small, the brand definitely prioritises quality over quantity. 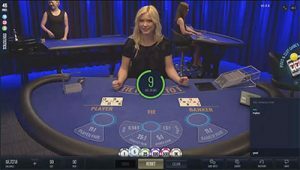 All games are filmed and streamed in full HD, with chat functions available for players to interact with the dealer and other punters. 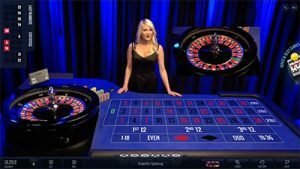 Live Roulette – Offering single zero European Roulette rules, Lucky Streak Live Roulette offers a sophisticated, elegant live dealer space, with games hosted by beautiful, friendly croupiers. The betting table is at the forefront of the screen, with a zoomed in view of the roulette wheel so you can get up close to all the action. Full game statistics are available for the past 100 game rounds, with the previous winning number listed to the side for those who take that into account when employing a roulette strategy. All the classic inside and outside bets are available, including odd/even, red/black, dozens and more. The dealer makes clear announcements of all winning numbers, with the winning number also displayed at the top of the screen. Live Blackjack – Lucky Streak offers a classic live blackjack version played with eight decks of regular cards, with multiple side bets (21+3 and perfect pairs) and a bet-behind option to enhance player engagement and increase winning potential. The game interface includes pre-decision buttons, which means you can decide how you want to play before it’s your turn to make a move and is ideal for those who enjoy a fast-paced game. Dealer stands on soft 17, double down is allowed on any hard nine, 10 or 11 and players can split once to make two multiple hands. Insurance is available and pays 2 to 1, and when played at perfect strategy Lucky Streak Blackjack comes with a house edge of 0.48%. Lenient betting limits are offered to cater for casual players and high rollers. 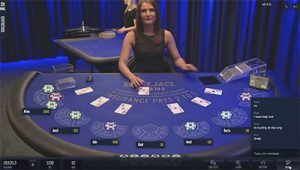 Live Baccarat – In land based casinos, baccarat is typically reserved for the high rollers, but thanks to Lucky Streak, those who wouldn’t usually be able to afford the buy-ins for baccarat can now participate in this high-end casino game. Hosted by friendly, smiley professional baccarat croupiers, Lucky Streak not only offers an elegant platform to play live baccarat but also adds some extra spice to the game with the offer of a series of optional pairs side bets. Players are presented with six new betting opportunities, including player or banker pairs, perfect pairs, unsuited pairs and more. Full game statistics are available, including a breakdown of the recent round so players can analyse and manage their risks. Players also have the option to view the bets and trends of other players. Not just restricted to live dealer software, Lucky Streak also offers a wide variety of other RNG (random number generator) casino games, including slots, scratch cards, bingo and other niche creations. These games are certainly overshadowed by the live dealer offering and are nowhere near as impressive as slots and instant-wins from the big guns like NetEn, BetSoft and Microgaming, but it’s always good to see some variety nonetheless. Lucky Streak is relatively new to the online gaming industry, so games aren’t as widespread as other major software developers, but we are thrilled that you can find Lucky Streak games at Leo Vegas Casino. Leo Vegas offers one of the most comprehensive live dealer suites you will find anywhere on the Web, with live games available from multiple software developers including NetEnt, Evolution Gaming title=”About Evolution Gaming’s live dealer suite” and Ezugi. Due to region-blocking laws, Leo Vegas doesn’t accept players from all countries, so you will need to head to Leo Vegas to check the terms and conditions to see if players from your country are eligible to register. In the future, we hope to see Lucky Streak games spread to more of our recommended casino sites as this software developer grows in popularity. Head to Leo Vegas Casino where you can play Lucky Streak live dealer games and claim a new player welcome bonus that’s exclusive to the live dealer casino. Make your first real money deposit and Leo will match it by 100% up to $100, with bonus money available to use on all live dealer and table games.